Technology is constantly evolving and every aspect of our lives is becoming more convenient as a result. You'll be hard pressed to find a home that doesn't have at least a few digital devices in constant use. Smartphones, in particular, have become downright essential for everyday communication, not only in our social lives, but in the realms of our work and/or school as well. Is it really any wonder then, that this technology can now be used to operate you garage door? 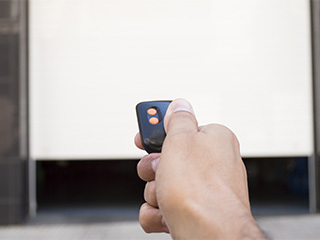 Without getting too technical, as long as your garage door opener is connected to the internet, usually with Wi-Fi, it can then be controlled via your smartphone. All you need is a compatible app and you're pretty much done. Many brand name manufacturers have their own proprietary software, but there are also some general universal ones out there. Once you get everything connected you'll be able to quite literally access your door from anywhere in the world. Surprisingly, it may be safer to use an app to open and close your garage door rather than the traditional remote. These devices tend to malfunction far more often than the average smartphone. What's more, most apps, like the ones used by Genie and LiftMaster have a variety of unique features that can allow you to control multiple doors simultaneously, turn on lights and even check the status of your door. Yes. Some apps can be set up so that you'll be notified each time your garage door opens or closes. If you have a camera installed, some apps will allow you to check on the live video feed right then and there. This can be incredibly beneficial, for example if a family member forgets their keys, you'll be able to open your garage door even if you're away from your home, and watch them to make sure they're fine. You can also ensure every member of your family has their own security code so not only can your loved ones get safely into your home, you will also know when they came or left. Garage door remotes can be rather costly, considering the (usually) limited usage they can offer. Most households will only have one or two. You will generally need to attach them to your keys in order for them not to get lost. They also require somewhat frequent battery changes, and can leave you trapped inside or outside your garage when they malfunction. Here's how we look at it: it's not like you're not going to have a smartphone if you have a remote control, right? You're going to have both, so why not choose to let go of the obsolete and stick to the innovative? Our team at Garage Door Repair White Plains can help you find an opener that can be operated using a smartphone app. Call us today.